In preparation for the annual Amahoro Africa Gathering in 2010 I began reading about creation care rooted in Scripture and science. I’ve been reading ever since, and here are the books that have most shaped my thoughts on the connection between Christ, creation and community. 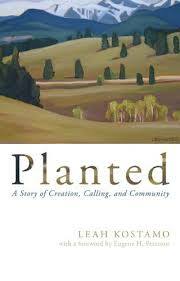 This book was recommended by Brian McLaren. I remember him saying that this book left him in a posture of worship. It left me in awe and ready to worship, as well. 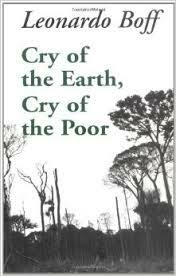 A thoughtful and comprehensive reflection on creation, the connection of creation care to the poor and how all of this holds together in Christ. It is a seminal text for me. Ellen Davis is one of the scholars I most respect and most love to read. 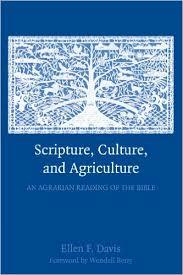 She refers to this book as an agrarian reading of the Bible, looking deep into the text for insight into the connection between land and our lives. 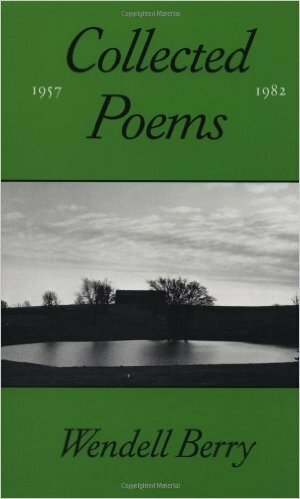 She pulls heavily from the work of Wendell Berry, so another bonus! 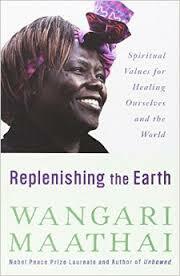 Wangari Maathai was a Kenyan biologist, environmental activist and leader. She brings an African sensibility to the conversation about earth-keeping and also the concreteness of a practitioner and one who knows the poor (those most affected by environmental change) by name. Brian is a friend, but also a sage. 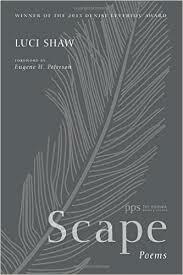 In this book he offers a macro perspective on how climate, economy and other global dynamics shape our current context. He sees how the systems interlock and influence one another – and us. He offers a word of hope for those who want to join in God’s repair of the earth. Leah has written a lovely book which is part memoir, part Scriptural exploration. She is funny and insightful as she leads us toward fresh understanding of what it means to be an earth keeper. Sometimes it takes poetry to seep under your skin and twist you into a new way of seeing the soil, the leaves, the way the light illumines the wild flowers. Sometimes this is how we rediscover our connection to creation, our shared substance. Wendell Berry writes the poems that help me see the connections and slow down to pay heed. The green book is a core collection, but my other favorites are A Timbered Choir and Sabbaths . Another poet opens my eyes, my heart, to the interplay between sky and song and Spirit. Luci is a gentle poet who never misses the wonder of the world or how awe can shape the soul. This is her most recent collection of poetry, onc I’m still savoring. 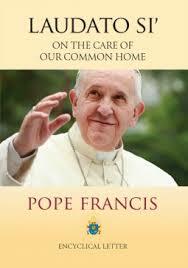 This is Pope Francis’ letter to the world, to all who call earth home. He is weaving Scripture and science, talking about the realities of how climate change touches the lives of the haves and the have-nots. It is a contemporary word to the world, but a deeper invitation to the faithful followers of Jesus, the Church. Bonus – you can download the green version for $0.99? This was lovely timing for me as I was just dithering over what to read on holiday! 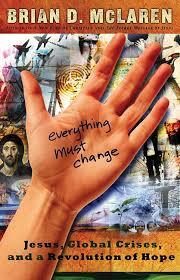 I have ordered Everything Must Change and have put Cry of the Earth on my wishlist. I read the Ellen Davis a couple of years ago and it was life changing for me. Thanks for the recommendations! Just popping back quickly because I had to say THANK YOU for recommending the McLaren book. I am enjoying it hugely. You are a champion book recommender! If I could offer a recommendation of my own in return, I’ve just finished reading Urban Eco-Mission by Paul Ede. It’s very slim – a booklet really – but packed with wisdom and exciting ideas for why and how urban Christians can engage with creation care, in particular around the regeneration of post-industrial wasteland. Pentecostal and global perspective – so refreshing!